Foundation of COA, Nagaur under Agriculture University, Jodhpur was laid down based on the point 77 of 2015-16 budget declared by that time CM. Currently, first to fourth year B.Sc. (Hons.) Agriculture course and Post-graduation in Food Technology classes are running and 175 students are studying here. COA, Nagaur has its own building and other basic infrastructure facility. University has filled most of the teaching and non-teaching posts in the current academic year. However, guest faculties are engaged to teach courses for whom faculty is not available so that teaching can go smoothly. To provide quality education both in terms of theory and practical as well. To provide opportunities for higher education. To provide students congenial environment for competitive exams. To develop students as good citizens and better administrator. Total budget sanctioned for the building in first phase was 1100.00 lacs and estimated budget in second phase is 1200.00 lacs. MoU was signed between RSRDC & AU, Jodhpur for complete construction related work. Building details- Building is designed as per weather and double wall with heat resistant thermo insulated sheet were placed in between outer walls which protect from heat waves and maintain temperature. Laboratory- Total 7 labs, 4 on ground floor and 3 on 1st floor. Size of each lab is 11.40x7.50m with one storage and one sitting room of 3.67x3.67m size. Library facility available with the size of 18.72x11.80m. Roof water harvesting is ensured with total 5.00 lacs litre storage capacity. 120 kw solar panel established on the roof of the building. 6 side entry gate with ramp for differentially able persons. Playground of football and cricket were developed for the students of college. College provide high speed internet facility to the students. 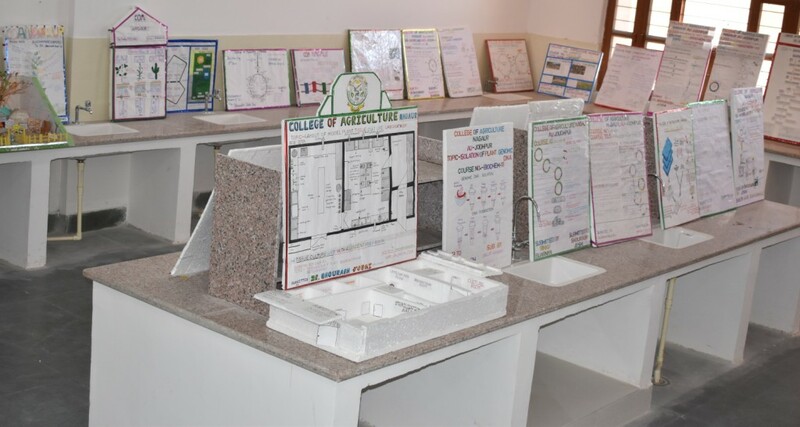 Various laboratories were established to conduct practicals for the students. Advance technology of teaching through LCD and Smart classes. Ramp facility for differentially abled persons. 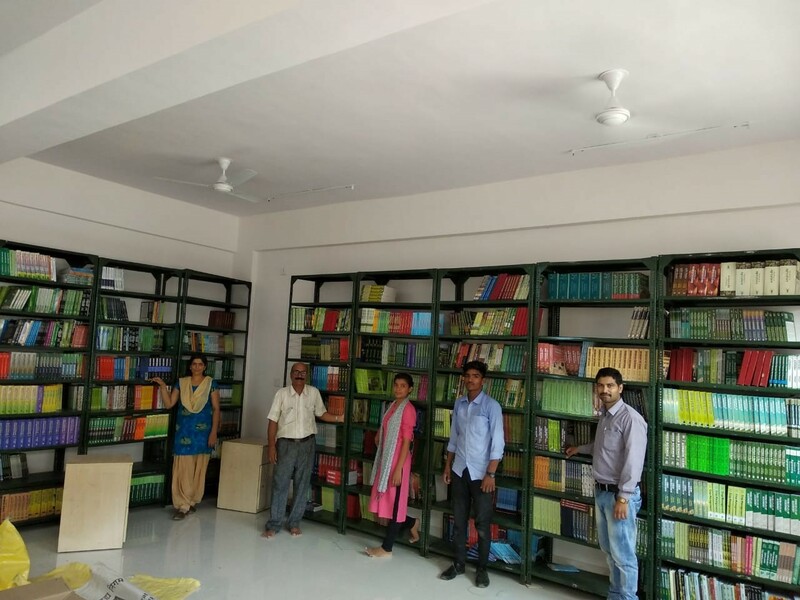 Well-equipped library consisting of various books for their better understanding of the subject.